While we accept and appreciate donations year round, Project Green does many fundraising events throughout the year and is planning our future two major fundraising events: Benefits Concerts and Online Crowdfunding. Project Green has been chosen by Sevananda Coop in Atlanta, GA to be their February 2019 non-profit beneficiary in the "Be The Change" partnership where all shoppers in the month of February can round up their purchases at the register and all funds will be donated to Project Green. We will in turn spend all funds raised to sponsor local Atlanta kids to an Organic Gardens Summer Camp! Thank you Sevananda for making us your partner for the month of February!!! 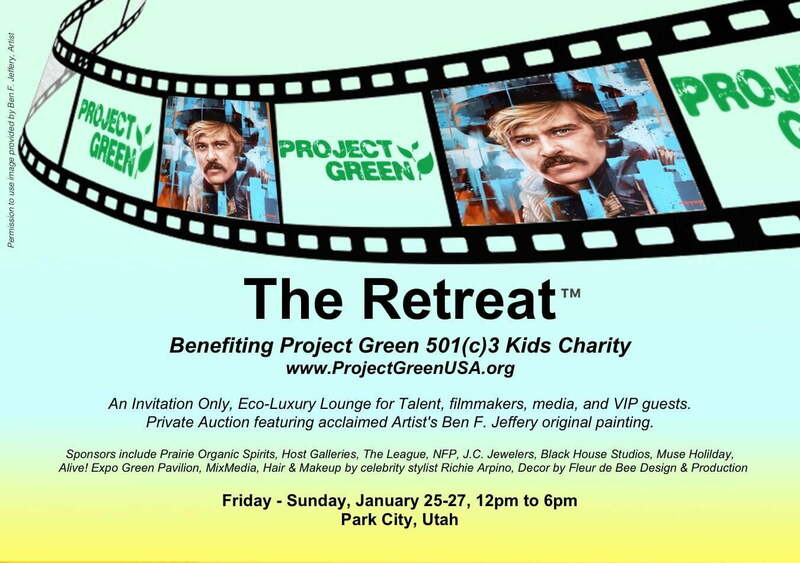 Project Green will be in Park City during the Sundance Film Festival January 25-27 for our annual invitation only eco-luxury lounge for talent, filmmakers, media and VIP Guests. This is one of the many awareness and benefit fundraiser events that Project Green participates in annually. Taste of BBQ at Alive! Festival will take place on October 20, 2018 in Suwanee, GA. This family friendly festival is an annual event attended by thousands of local attendees. The festival features a Taste of BBQ, vendors, an artist market, a kids area as well as Live Music. Each year Project Green helps to spread the word about the non profit as well as helps drive donations necessary to keep us moving forward! Thank you to Alive! Expo in Atlanta, GA for making this event possible each and every year! 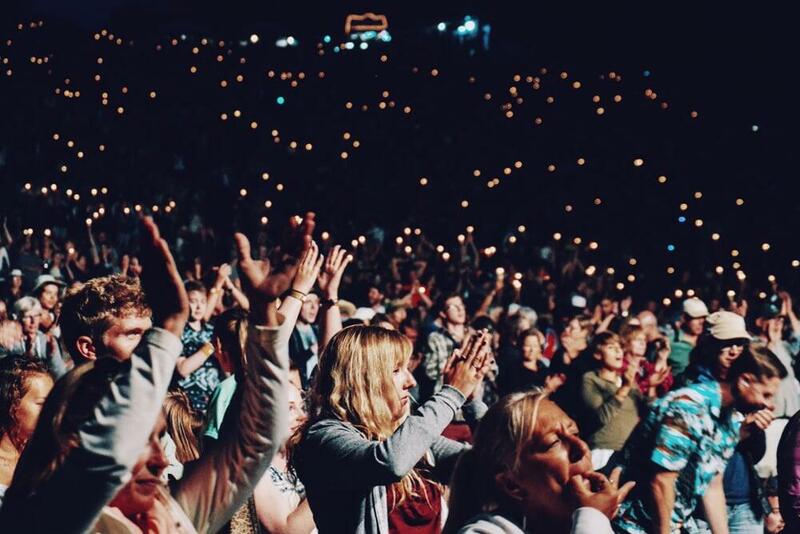 The benefits concerts will become an annual tradition, as soon as the crowdfunding makes it possible. Want to know when to expect these events? You could check this page, often, or you could sign up for updates. Can't wait for the next big event? Need to get involved right now? Want to make the lives of the underprivileged children of America a little greener? No matter when you give, you will always have our most sincere gratitude and we will make sure to make every dollar count towards the cause. Want to maximize your donation? Keep reading below to find out how to check if your employer will match your donation. Gift matching is the practice of employers supporting charities their employees believe in. This could mean that for every dollar you give, your employer will give one dollar as well. It could also mean, in some rare cases, that your employer will give $5 for every dollar that you give. Curious what your employer will give? You might be surprised at how quickly and easily you can make sure your donation goes as far as possible. Ask your HR today if they participate in Gift Matching for Charitable donations. Project Green is always in need of good help. If one of the opportunities below sounds like a good fit, please help us help the kids. Project Green is always looking for great content for our blog. If you have a passion for writing and knowledge of all things green, give us a shout. Do you have a knack for social media and a desire to help the planet and the kids? We would love for you to help us be able to keep in touch. We hope to be able to start a Facebook group for our members to be able to grow greener together. Is summer camp near and dear to you? Does it break your heart to know that there are kids in the U.S. who never play outside, let alone go to camp? Contact us to see how you can share the love, even without computer skills.